Ever tried to teach your child Fact Families? 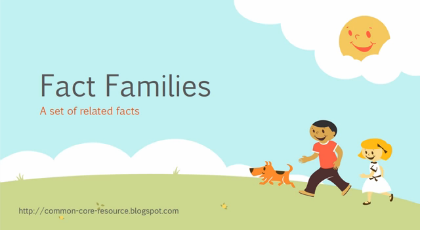 This can be a confusing concept for a second grader, but this video has proven to help my child understand Fact Families and how to do them without any help! I was very excited about this one...check it out and allow your child to watch it so they may learn about Fact Families, too. Remember, this was designed to allow your child to learn how to do Fact Families on their own. They can read along and pause the video if they need more time to read the content and do the exercises.